http://hwsoh.blogspot.sg/: Have you been Thor-ed ? Have you been Thor-ed ? Recently, there is this new movie, called " Thor: The Dark World"
The only "Hammer" i knew was THIS. 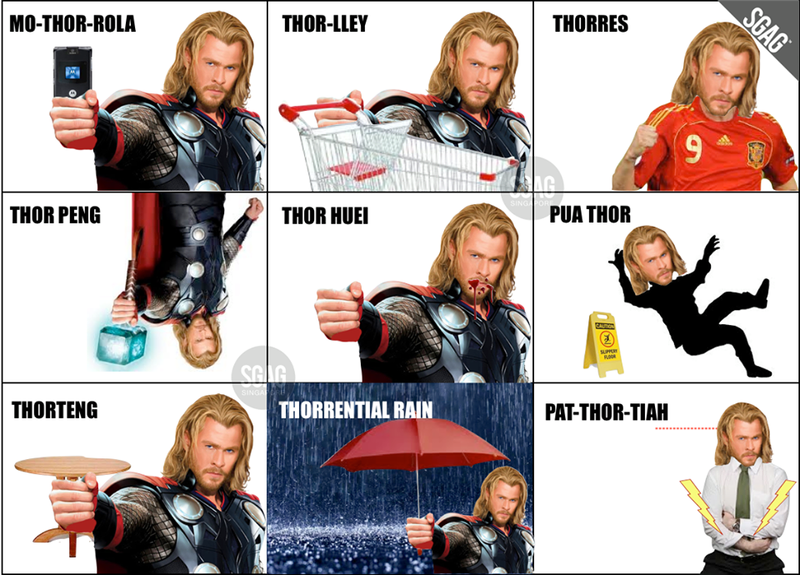 SGAG made Thor into a funnier joke, i feel. HAHA ! The funniest was, Pat-Thor-Tiah. Which means Stomachache in Hokkien.